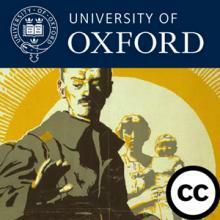 With 32,000 iTunesU and Oxford Podcast downloads since its launch in November 2012, the World War I Centenary: Continuations and Beginnings project continues to build a substantial collection of learning resources available for global reuse. A rich variety of materials, including expert articles, audio and video lectures, downloadable images, interactive maps and ebooks are available under a set of cross-disciplinary themes that seek to reappraise the War in its cultural, social, geographical and historical contexts. Many of these resources have been specially created by the University of Oxford and partner academics for this website. As we approach the 100th anniversary of the First World War this series of short talks presents new perspectives on the world’s first experience of the war. Produced by the University of Oxford, and presented by renowned experts in the field, the series explores topics such as ‘conflict culture’, ‘surplus women’ and the role of the historian in the centenary. A world class resource that is set to grow in the coming years, be prepared to move beyond the mud of the Western Front and reconsider the the varied impact of one of the largest conflicts in history. 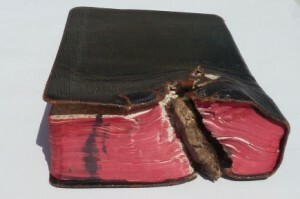 Do you have a box hidden deep in the attic or under the bed that holds your great grandfather’s diaries from 1914-1918? His army medals? Or a photo with a special story behind it? If so, it could be part of a unique European WW1 project, shared worldwide to commemorate the centenary of the outbreak of the war. Oxford University, the British Library and JISC have joined forces with Europeana – Europe’s digital museum, library and archive – and local institutions including the Soldiers of Oxfordshire Museum and Banbury Museum, to gather and tell personal stories from 1914-1918. These valuable stories will then take their place in the ever-growing online European archive of family memorabilia from WW1. And we need people’s help. Families are urged to bring photographs, letters, diaries, film or audio recordings, together with the stories of who they belonged to and why they are important to their families to the Europeana 1914-1918 Family History Roadshow at Banbury Museum on 3 November. Historians and experts from the Soldiers of Oxfordshire Museum, the Western Front Association and Oxford Museum Services will be on hand to talk about the significance of finds, while staff from Oxford University IT Services and the British Library will professionally digitise the objects and upload them to the dedicated europeana1914-1918.eu website on the spot. Roadshows like this one are being held across Europe as the centenary approaches. Each individual story – that otherwise might never be told outside of the family – is essential to creating a unique European archive and perspective of World War One. Through this archive, stories from countries across Europe will be shared online, accessed by others worldwide and saved for future generations. Digitisation saves precious memorabilia from being lost or thrown away – and it keeps them safe for future use by schools, genealogists, cultural organisations and historians. ‘Memorabilia and stories are kept by families. They are hidden archives containing very personal stories of great historical significance. ‘That’s why our online archive, which is collecting material from across Europe in a series of roadshows, is so important. Europeana brings a new approach to cultural history, linking people’s own stories to the official histories and showing the many-sided views of the same slice of history. Oxford University, the creators of the original idea for these WW1 collection days, is providing professional expertise to Europeana 1914-18. Press interviews with partners and case studies can be arranged prior to the event. Europeana europeana.eu is Europe’s digital library, archive and museum. The Europeana 1914-1918 project europeana1914-1918.eu, set up with Oxford University IT Services, will provide unique new resources for education, exhibitions, applications and services that are created to support remembrance of World War One and its effect on people’s lives. Many local libraries and museums do the work of organising and running the roadshows; Banbury Museum and the Soldiers of Oxford Trust are key local partners in organising the Banbury roadshow. To date 15 roadshows have taken place across Germany, the UK, Ireland, Luxembourg, Slovenia and Denmark. In the run-up to the WW1 centenary Europeana is working with partners in Belgium, Italy, France, Switzerland, Romania, Poland and Austria. So far, 2,000 people of all ages from across Europe have attended the roadshows to share family stories. Roadshow participants have been joined by online contributors and 45,000 photos of objects related to WW1 have been uploaded to the Europeana 1914-18 website. All material collected by the project is channelled into Europeana. These family stories complement the national narratives being digitised by national and state libraries for the centenary as part of Europeana Collections 1914-1918. Oxford University began the WW1 family history initiative when it asked people across Britain to bring letters, photographs and keepsakes from the war to be digitised in 2006. This pilot project was funded by JISC, the UK educational technology innovator. Its success encouraged Europeana to approach Oxford to form a partnership to roll out the scheme across Europe. Oxford University IT Services provide training, equipment, digitisation and cataloguing expertise during the roadshow events across Europe. The British Library is a lead player in Europeana Collections 1914-1918 – a three year project to digitise more than 400,000 items from national libraries in eight countries across Europe that found themselves on different sides of the conflict. The Library is also sending curatorial and cataloguing staff to the roadshow event to work alongside Oxford University colleagues in Banbury. Banbury Museum opened in 2002, and is situated in an attractive town centre and waterside location. The iconic modern building displays local history collections and hosts touring exhibitions. The Museum offers a family friendly approach, with a busy programme of activities and events for all ages. “Millions of pounds of public money will be committed to helping Britain mark the centenary of the First World War, David Cameron will announce today. Mr Cameron will say Government is throwing its weight behind the commemorations of the beginning of the Great War in 1914. The announcement comes amid claims that Britain has been dragging its feet about the commemorations plans, compared with other countries, because of a row in Whitehall over which department will pick up the bill. Britain’s marking of the anniversary of the beginning of the “war to end all wars” is likely to focus on a new £4.5million permanent exhibition at the Imperial War Museum in south London. In keeping with the Government’s localism agenda, communities across the country will be encouraged to find their own ways of marking the centenary. The First World War is one of the most widely covered topics in further and higher education and schools, but according to a new JISC report, little is known about what aspects of the War are being taught, the key research questions or indeed the digital content available to support education and research in this area. 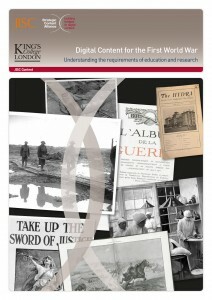 The new survey report by the JISC-led Strategic Content Alliance, Digital Content for the First World War, based on a study by King’s College London, addresses these questions for the benefit of people managing digital resources in universities, libraries and museums. The report argues that the Centenary of the War in 2014 offers digital content creators the opportunity to reappraise received notions of the experience and legacy of the conflict across disciplines. For example, they might choose to create digital resources for aspects of the War that have been little explored – such as the global nature of the War, medical and nursing history and the study of wider economic and social issues. To draw attention to the breadth of underused content in small and medium sized collections as well as to encourage collaboration between people working on them, JISC have also funded King’s College London to develop a new online resource UK World War One Collections. The database allows researchers and content managers to search for UK university, archive, library and museum holdings relating to the conflict, saving them time and potentially reducing duplication of effort. JISC is responding to the report recommendations by working strategically with other organisations and academics to create and enhance content – for example creating cross-disciplinary open educational resources that will offer the opportunity to reappraise the War and its social, historical and cultural ramifications through the University of Oxford’s World War One Centenary: Continuations and Beginnings project and the Serving Soldier online collection at King’s. JISC’s recent work with Wikimedia UK brought together academic experts and editors of Wikipedia (Wikipedians) to create and improve Wikipedia articles on World War One topics. It means that students, researchers and the public can now access accurate, consistent, wide-ranging Wikipedia articles that are as up-to-date as possible and there are now new links between Wikipedian and academic communities. The report also highlights that to create unique and compelling digital content for the benefit of education and research, funders, content providers and other agencies need to work together. By building mechanisms for collaboration, any potential investment goes further and delivers better services for less. The Great War as it was known, the First World War or WWI as it is referred to today, was a world conflict. At the risk of stating the obvious it involved more people, more countries, and cost more money than any previous war in history. It also left more dead. It is estimated, no one really knows for sure, that more than 9 million servicemen and women were killed during the war. For Britain and her Empire, what we would today refer to as the Commonwealth, that figure is roughly 1.1 million dead. Their graves and memorials will be found all over the world – lovingly cared for by the Commonwealth War Graves Commission – a duty of care that translates into maintaining war graves at a staggering 23,000 locations in 153 countries. In a very real sense those graves, cemeteries and memorials may be the only physical reminder left of that conflict and, more importantly, the human cost of the war. But visualising that sacrifice and that commemorative commitment is not as easy as just rattling off a list of statistics. AND it is vital that we are able to visualise it, because in doing so, we can start to examine questions about the war and engage a new generation in the sacrifices made and the on-going importance of remembrance of the fallen. Statistics don’t, by any stretch of the imagination, convey the impact on individuals and their communities when loved ones have been killed. However they are a starting point to demonstrate the enormity of the cost for some people. Presenting statistics graphically can help to illustrate the facts clearly and that’s where our friends at the University of Oxford’s World War Centenary project came in. They took some of the thousands of GPS coordinates we’ve been gathering over the past few years and have turned them into the visual representation of loss you can see here today. It even made an old CWGC stager like myself gasp! Now imagine using that as a local teaching resource, or as a means to track the line of the western front or the global nature of the conflict through the graves, cemeteries and memorials that we maintain? Ask yourself the question – why are there 9 war graves in a tiny cemetery at Trekkopje in northern Namibia? What happened there? Immediately you start to see the value of being able to visualize the war in this way. My hope is this is exactly what students and academics and “ordinary” members of the public will do. Who knows? You may even decide to visit. We would love it if you did. In the 1930’s the Commission’s founder, Fabian Ware, used the technology available to him to help the British public visualize the impact and human cost of the war – and therefore the task of commemoration his organization faced. In an Armistice day address on the BBC he said…If the dead of the Great war “could march side by side, four abreast, in continuous procession down Whitehall, it would take them four days and nights to get past the saluting base” of the Cenotaph. We took that statement and tried to give it a visual reference. So imagine that the column would stretch from London to Edinburgh in the UK. In Canada it would extend from Calgary to Regina; in South Africa from Bloemfontein to Pretoria; in India from Mumbai to Hyderabad; in Pakistan from Karachi to Multan; in Australia from Sydney to Melbourne and in New Zealand it would cover the full length of North Island. It’s a powerful image but dare I suggest not as powerful or as useful as the tool we have here today. I’m sure Fabian he would approve. Peter Francis is a former journalist and now Head of External Communications at The Commonwealth War Graves Commission (CWGC). Based at the Commission’s Head Office in Maidenhead Peter is responsible for the outward-facing side of the Commission, managing everything from the website, to information programmes, educational material and PR. An important part of the role is the focus on the 2014-18 centenary and the Commission’s own centenary in 2017. This workshop aims to explore the potential value of the World War One Centenary: Continuations and Beginnings website to teaching and learning . The website brings together a range of innovative digital resources intended to reappraise the War in its historical, cultural, social and geographical contexts. The resources include digitised primary sources, e-books, images, interactive maps and simulations, and are organised into cross-disciplinary themes such as medicine, politics, and the topography of the War. At the heart of the site is a showcase of new academic perspectives on the War by leading scholars, presented in blog format so that readers can contribute comments of their own. A distinctive feature of the resources and commentaries is that they have been licensed as open educational resources, so that they can be used, with or without adaptation, for teaching and learning in both formal and informal contexts. The website has been developed by the team at the University of Oxford responsible for the acclaimed First World War Poetry Digital Archive and Great War Archive, led by Kate Lindsay. The workshop will explore the usefulness and relevance of the thematic collections for teaching and studying topics related to World War I in Oxford and is therefore aimed at those that are involved with direct teaching and learning around the topic. It will begin with an introduction to the thematic collections and academic commentaries. You will then investigate the collections yourself, select resources that might enhance your students’ learning and plan how you might use them. Members of the project team will be on hand tohelp out, and there will be ample opportunity for feedback and discussion. Your contribution will help us not only to assess the value of the collections in encouraging students to consider different ways of approaching the War, but also to extend our understanding of how academic staff engage with open educational resources. 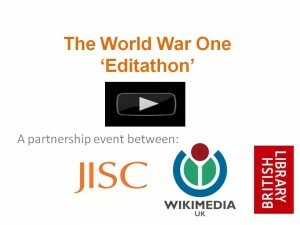 View the video showreel from the JISC/ Wikimedia UK World War One ‘Editathon’ at the British Library on 16th June 2012. This event brought together academic experts and editors of Wikipedia (Wikipedians) to create and improve Wikipedia articles on WW1 topics. The aim of the event was to increase coverage and make the information as accurate, consistent, wide-ranging and up-to-date as possible and to build bridges between Wikipedian and academic communities. The Wikipedia page on the World War One attracts approximately 7.3 million page views per year, 597,945 for the month of June 2012 alone. Add this to the number of page views for June 2012 the plethora of related WW1 articles from the Treaty of Versailles (114,190, ~1.4m/year), to the Battle of Somme (56,071, ~680k/year), from the ‘Causes of World War 1’ (65,611 ~800k/year) to ‘Archduke Franz Ferdinand of Austria’ (58,070, ~700k/year) and you can start to see how this substantiates the view that all searches, whether for general interest or in an educational capacity, start with Wikipedia. However, the key contention with Wikipedia has always been its perceived lack of authority and reliability. To quote from Alison J Head and Michael B Eisenberg’s 2010 report “How today’s college students use Wikipedia for course-related research”: ‘if you want to stir up a room full of university faculties and librarians- mention Wikipedia’. As noted in the ‘Researchers for Tomorrow’ report, Wikipedia represented a ‘first port of call’ around a research topic, but could not be seen as a reliable source for citation. With so many students and researchers increasingly using Wikipedia to, at the very least, inform further research, the need for improved accuracy is a pressing issue. In order to address this issue in a pragmatic way, JISC and Wikimedia hosted the first of its kind ‘Editathon’ around World War One at the British Library. Academic experts and editors of Wikipedia (Wikipedians) were brought together to create and improve Wikipedia articles on WW1 topics. The aim of the event was to increase coverage and make the information as accurate, consistent, wide-ranging and up-to-date as possible and to build bridges between Wikipedian and academic communities. 1) In line with the recent finding of the Finch Group report ‘Expanding Access to Published Research Findings’ which calls for ‘a programme of action to enable more people to read and use the publications arising from research’, through editing Wikipedia, academics and researchers are offered a relatively easy mechanism to amplify the research findings and engage with the public on aspects of their research, by virtue of the content being totally ‘open’. Albeit indirectly and in a mediated way, the academics present felt like this added huge value to their research and the credibility of their institution, but felt that this counted for little as it was not included in the formal assessment as to the quality of research, the Research Evaluation Framework (REF) – something that would need to change if collaboration of this nature did take place in the future. 2) It also allows academics to redress the balance of how subject topics including WW1 can be represented in terms of the coverage of Wikipedia articles. Currently, the overwhelming number of articles pertaining to the conflict, cover aspects of military history (e.g. battleships and military strategy). Little can be gleaned in terms of the social, economic or political effects of the war e.g. the role of women. Additionally, the wider global legacy e.g. experience of servicemen from across the European empires are widely underepresented. The editathon served to ‘rethink’ how aspects of the conflict are represented in a wider context, to include articles on previously unknown commonwealth soldiers like Gobind Singh, an Indian servicemen to be in receipt of the Victoria Cross or how women coped with a generation of husbands, brothers and fathers being permanently absent. From all those who attended the event, the resounding message was that this represented the start of a discussion. Academics and Wikipedians have taken it upon themselves to maintain links with each other, at the very least, to update or create articles, but also in some cases to trial ‘putting Wikipedia into the classroom’ as an editing exercise for the 3rd year history programme. On a strategic level, JISC and Wikimedia are committed to future collaborative work, to include future ‘editathon’ events around a range of topics and exploring the possibility of ‘Wikipedian in residence’ roles being installed in UK institutions. Another notable message from the event was the importance of providing mechanisms for academia to engage with the WW1 commemoration and aiding ways in which student, researchers and the public alike can comprehend the incomprehensible. The legacy of the war that shaped subsequent generations is at risk of slipping from public memory, making it essential that today’s educators are able to reinterpret, re-engage and re-create a new social memory ‘lest we forget’ the experience and lessons created by this conflict. The ‘JISC/ Wikipedia WW1 Editathon’ has in some small way created another building block to realising this ambition. Untold and extra­or­di­nary real-life sto­ries from World War 1 have come to light and will be shared online as a result of fam­ily his­tory road­shows run by Euro­peana. They include a life-saving Bible, the first-hand tes­ti­mony of a cen­te­nar­ian, and a post­card from a 27-year-old sol­dier named Adolf Hitler, which sug­gests that the future dic­ta­tor had prob­lems with his teeth and his spelling. 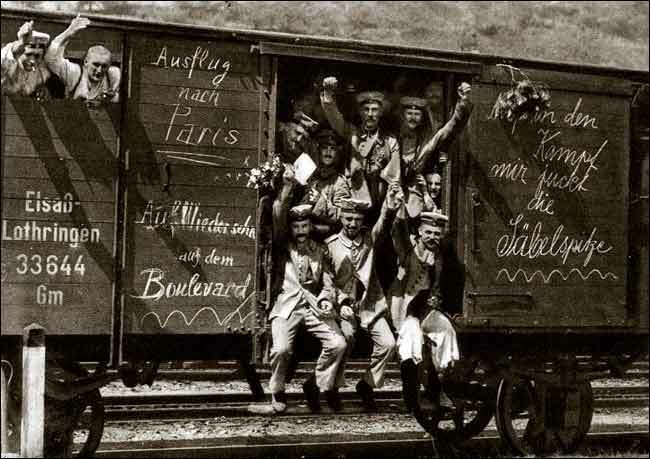 In prepa­ra­tion for the 100th anniver­sary of the con­flict, WW1 road­shows have been held in Ger­many, Eng­land, Ire­land, Lux­em­bourg, Slove­nia and Den­mark. Peo­ple are invited to bring along WW1 mem­o­ra­bilia to be seen by experts and digi­tised. The Euro­peana 1914–1918 web­site also shows peo­ple how to upload their own dig­i­tal scans. The idea for the road­shows came from the suc­cess of the Uni­ver­sity of Oxford’s Great War Archive in 2008, funded by lead­ing UK edu­ca­tional tech­nol­ogy inno­va­tor, JISC. 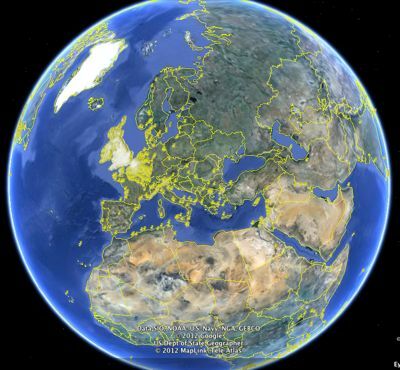 Two thou­sand peo­ple of all ages from across Europe have attended the road­shows to share fam­ily sto­ries. Road­show par­tic­i­pants have been joined by online con­trib­u­tors and 45,000 pho­tos of objects, scanned let­ters and diaries have been uploaded onto the web­site to date. Most of these are pre­vi­ously unpub­lished and have never been seen or stud­ied out­side the families. The par­tic­i­pa­tion of Irish­men in WW1 was polit­i­cally sen­si­tive and as a result many of their sto­ries have never been told. That was one rea­son why the Dublin road­show was the best attended in Europe so far. More than 600 peo­ple turned up, some queu­ing for hours, to share their mem­o­ra­bilia and sto­ries. They include a mar­vel­lous wartime love story, told by Joseph Heapes’ daughter-in-law, Máire, of how Joseph found the love of his life, Mary, while a pris­oner of war in Germany. Sloven­ian cen­te­nar­ian Slavko Zupan is one par­tic­i­pant able to share his direct mem­o­ries of the war. His enthu­si­asm for the project was such that he vis­ited the road­show in Nova Gor­ica, Slove­nia, twice. To illus­trate his child­hood rec­ol­lec­tions Slavko brought along a bot­tle con­tain­ing a richly dec­o­rated wooden cru­ci­fix. 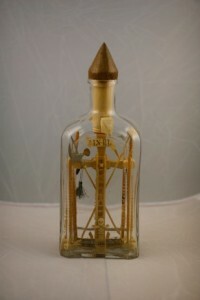 It was made by a Russ­ian pris­oner of war in Slove­nia. Exist­ing on mea­gre rations, pris­on­ers crafted such objects to barter for food or cig­a­rettes. The cru­ci­fix has been in Slavko’s fam­ily since 1916. The Munich road­show revealed what at first sight appears to be just one of many post­cards sent by sol­diers in the field. 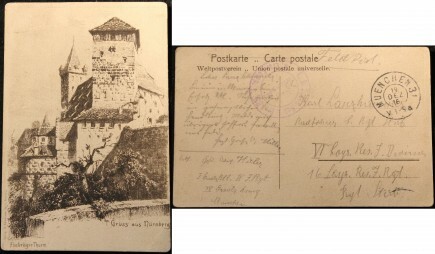 The post­card, ‘Greet­ings from Nurem­berg’, describes the sender’s recent trip to the den­tist and his desire to go back to the front line. That sol­dier was Adolf Hitler, writ­ing to his com­rade Karl Lanzham­mer in Decem­ber 1916.